This Sunseeker Manhattan 66 is the perfect fly bridge yacht for fast cruising with family and friends. She has 3 cabins and a spacious living room. She is equipped with 2 x 1100 hp man. _New carpets in saloon and Isles and new teak floor in lower Salon area. _Installation of new wooden teak table on the fly and cockpit. _New fridge, dishwasher and washing machine. She is fully MCA coded and has just passed the five years renewal survey. 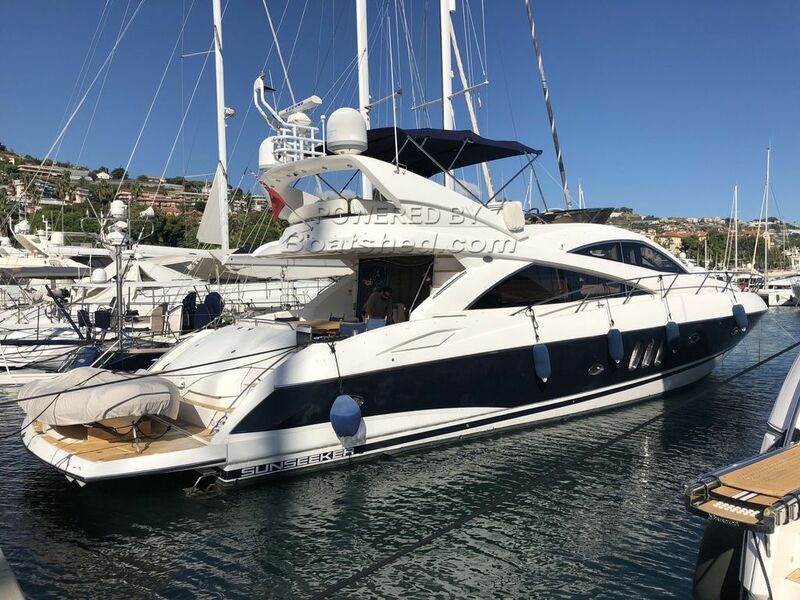 This Sunseeker Manhattan 66 3 Cabins Version has been personally photographed and viewed by Edward Kay & Antoine Perrin Daragon of Boatshed Riviera. Click here for contact details.